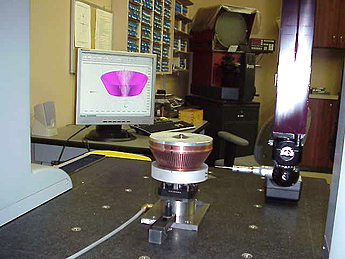 MIL-I-45208A utilizing calibration requirements outlined in ISO 10012-1 / ANSI Z504 , MIL-DTD-45662. We believe that quality must be built into your Electrical Discharge Machining EDM part or product to achieve the ultimate goal: Total Complete Customer Satisfaction. Every precision EDM part we manufacture is closely monitored during production and detailed records track the material through each EDM manufacturing process. Complete documentation is furnished for both Statistical Process Control and 100% inspection as required. 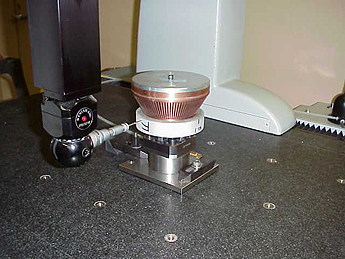 All precision EDM parts are tested with Advanced inspection capabilities, including coordinate measuring machines, that help maintain a high level of quality control while reducing turnaround time. Bring us your challenge. We are ready to meet demanding schedules with precise EDM parts in both prototype and production quantities. Engineering EDM parts production assistance is available to ensure the development of cost-effective EDM parts and design. We are located in Southern California.